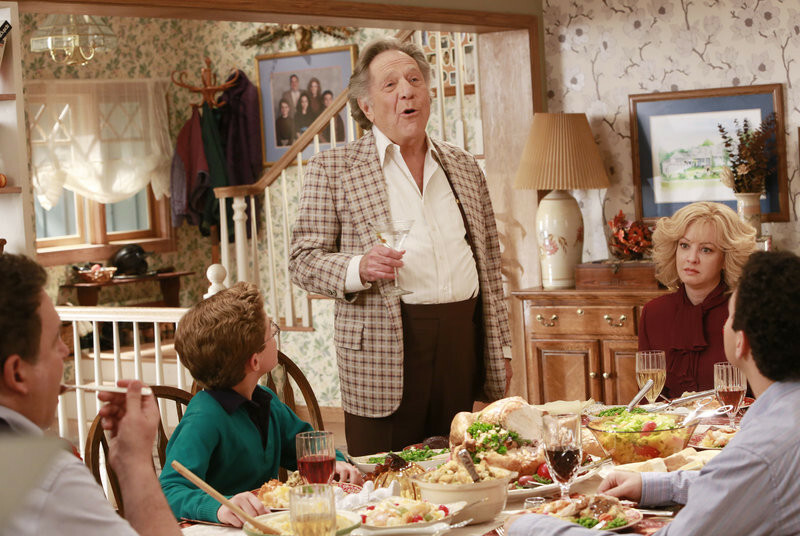 We are less than 2 weeks away from the Thanksgiving episode of The Goldbergs. In "A Goldberg Thanksgiving", Beverly challenges Erica to participate in Jazzercise after she thinks her mom’s obsession is lame. When she wins, Erica decides to opt out of celebrating Thanksgiving so Beverly must find a way to win her daughter back to celebrate the holiday with the family. Meanwhile, uncle Marvin shows up for his annual visit to the Goldberg home and unexpectedly bonds with Adam, which annoys Murray. 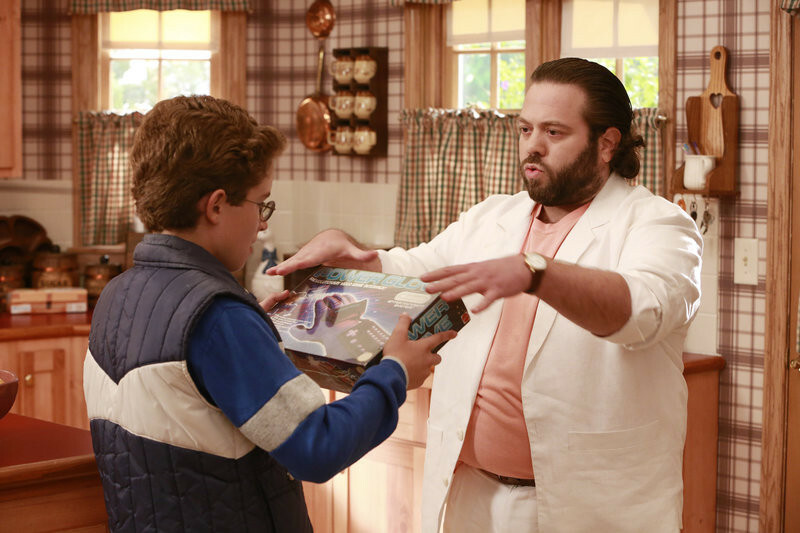 Don't miss the all-new episode of The Goldbergs airing on WEDNESDAY, NOVEMBER 19 8:30|7:30c on ABC. Check out highlights from last Thanksgiving and preview photos from the upcoming Thanksgiving episode. Marvin Goldberg pitches Murray to become an investor in his new business. Beverly Goldberg plays the role of multiple cops in order to get everyone to the Thanksgiving dinner table.